Here ultimate list of hottest women sports stars in the world currently active in either their respective sports or modeling. List is not in any particular order as we just went with the flow. 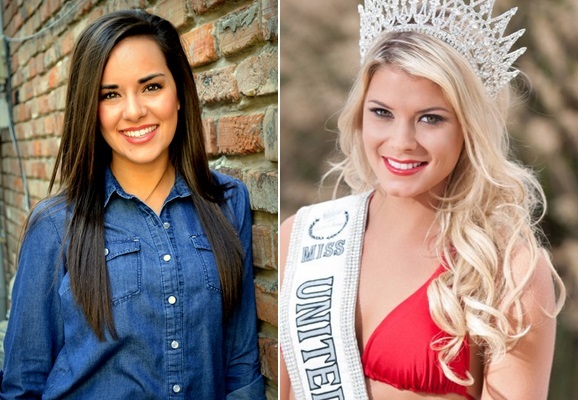 Ladies listed below have had successful professional sports careers at some point of their lives. This is not any kind of ranking but some random athletes who are not only pretty but also good at their respective sporte and there is not a certain criteria used to rank girls here its a random list which will be updated frequently. Rose to stardom when she became the development driver for Lotus F1. She has been on the racing scene for best part of last 10 years but has never won any significant event. But like always her good looks made sure she get the media attention. One of the hottest female athlete in very unconventional sport for women, Danica Patrick started racing in Indy Car series back in 2005 and since than she has moved to NASCAR Sprint Cup Series. Where in 124 races she has taken 10 top 10 finishes and finished on podium once. Gina Carano was widely considered the face of MMA with a very successful and highly lucartive career in the mixed martial arts sport. She moved to modeling and quite recently into action and have couple of blockbusters under her name the likes of Fast & Furious and Haywire. She is not only incredibly athletic but beautiful and intelligent. She became instant hit back in during 2012 World Junior Championships, when her hot warmups hit the internet. below is the video which will make you google her more. She won silver medal in youth olympics and started modeling beside participating in professional hurdle competitions. A superb basketball player who came through the ranks from Washington High & Notre Dame University. She have had made a fine transition from amateur to professional basketball in the states having won Big East Player of the Year back in 2012 and 13. Hails from Paraguay Leryn Franco hit the internet stardom back in 2008 Beijing olympics in javelin throw competition, although her competition results were not great but her beauty made her a instant star which followed by countless modeling spreads and of course was on the cover of SI edition immediately after 2008 Olympics. Also know as “Genie” and next Sharapove Eugenie Bouchard hails from Canada and has been a consistent performer in women tennis making history last year when she reached Women’s singles Wimbledon final. She is currently ranked 26th and widely considered as future no.1 tennis player. But just like Sharapova she has already incredible market value and signed massive deal with Nike. Norwegian star Silje Norendal is a professional snowboarder and she won gold in European Winter X Games in 2013 and also participated in 2014 winter olympics and finished 4th in Slopestyle category. One of the hottest female footballer who played in the 2015 women world cup in canada, this canadian beauty is not only a decent footballer but she got a hot body on her as well and luckily she is not shy to show it. 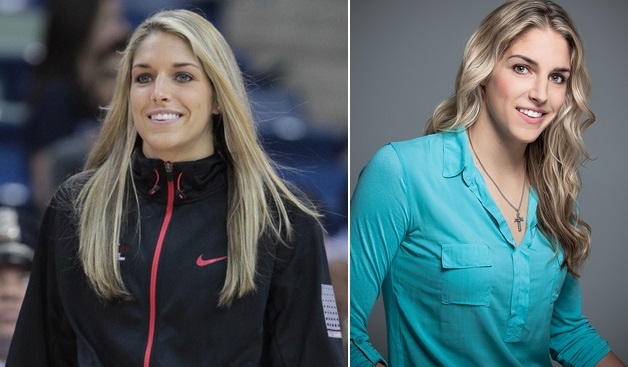 Elena Delle Donne is not only beautiful but she has supreme athlete as well. Plays from Chicago Sky women basketball team and is their star player for several years now. Hails from Spain, Beatriz Recari started playing golf at a very young of just 9 and since than she has played in numerous tournaments over the years. Her on the course success has been sensational but unlike other talented athletes she has refused to pose in any of the mens magazine, she even turned down offer to pose for Swim Illustrated. Was part of 2014 Winter Olympics US snowboarding team and also competed in the US grand prix of snowboarding. She comes from Colorado and become a very competitive snowboarder in the last couple of years. She posed for Swim Illustrated just before she took part in 2014 Winter Olympics. Whether you can figure skating a sport or art one thing goes hand in hand is beautiful ladies with so much grace, style and athleticism and Kiira Korpi is everything what we love about figure skating. She hails from France and has been professional skating for years and widely regarded as one of the hottest women in the sport. She started her career as figure skater and but after an injury she became a curler and lead Russian national curling team in 2014 sochi olympics. Malia Manuel burst on to the scene of professional surfing at the age of just 14 and won the US open surfing event becomign the youngest ever to do so. She hails from Kauai, Hawaii and surfing comes naturally to her. In the last 6 years she has been ranked in the top 10 of surfing rankings at all times. She is Russian and started her career as a professional tennis player but could never live up to the hype or expectations on the court but of it she became quite a star having posed for SI editions and was part of adidas’s first Stella McCartney tennis clothing line. One of the most experienced and successful aline skiing athlete Julia Mancuso has won gold in 2006 olympics and bronze and silver medals in 2010. She also won 5 medals in world championships. Julia Mancuso is a house hold name in USA and frequently appear on magazine covers. The most successful slovenian athelte in Alpin Skiing winning two gold medals in Sochi Winter Olympics 2014. She is not only incredibly talented but also one of the hottest stars of 2014 olympic games. Dutch national hockey team player Ellen Hoog was part of Holland hockey team which won the 2014 olympic gold in london which was followed by SI edition photo cover. She is a professional golfer but she seem to spend alot more time modeling than on the gold course it seems. But because she is hot we are going to list her anyway. Whitney Miller is a former miss USA, competed in pro wake surfing events and now on her way to earn a mixed martial arts Jiu Jitsu Blackbelt. Hails from Arizona, Sierra Coyle is a professional rock climber who travels to world to compete in climbing competitions. One of the hottest golf stars around and she is also a model. A quick search in google images will bring in her more modeling stuff than golf. Canadian professional cross-fit athlete and won the female edition of 2014 cross-fit games and pretty good at weight-lifting played different sports growing up like soccer, volleyball part of gymnastic team, running marathons and also likes to play bit of Rugby and she is incredibly hot. Started her career as a baseball player but quickly made the transition from professional sport to sports analyst with ESPN where she covers college baseball events. Also posed in Sports Illustrated and was named in top 50 of most beautiful people in US by peoples magazine. Danica Patrick? are you kidding me? We have painstakingly researched female athlete after female athlete to come up with the 50 hottest for 2017.